The first supported batch operation is to send all outstanding RTI and CIS submissions. More batch operations may be added in the future. 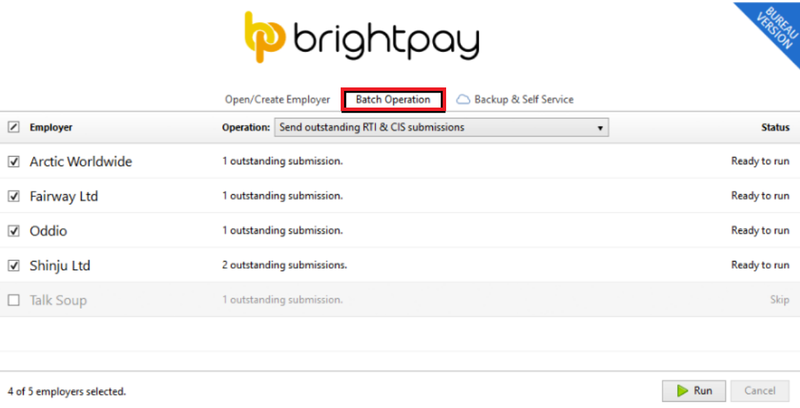 a) To access the batch operation, launch BrightPay and select "Batch Operation".